SoCalMotoGear Authorized Dealer Tradeshow Events SoCalMotoGear.com - Professional Grade Motorcycle Lighting - Plug N Play Products - "Riding at night has never been brighter!" DELIVERY EXPECTATIONS: Orders are typically processed & shipped within 1 business day unless specified differently. You can expect your order within 1-7 business day, depending on shipping method and location of delivery. 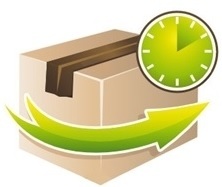 Always add extra time for express delivery as it may NOT ship the same day. Please be sure to take into account these expected shipment dates when placing your order and allow additional time for arrival of your order. Once packages leave our warehouse, we have no control over the transit times of the United States Post Office and UPS Delivery transit times. IMPORTANT SHIPPING NOTES: If you select UPS 2 or 3 Day, please be aware that you may NOT receive your order in 2 or 3 days. You will receive tracking information via email when your order is actually shipped out. We appreciate your patience and understanding. If you need to cancel your order, email service@socalmotogear.com with your full name and order number and the request to cancel. When your order ships, you will receive a tracking number via our automated email system. Please check your SPAM/JUNK email folder(s) or email us if you have not received an email from us within 2 business days. *FLAT RATE SHIPPING IS VALID ONLY ON QUALIFYING ITEMS FOR $6.95. If an item does not qualify for flat rate shipping of $6.95, it will be posted along with the product AND/OR during checkout. OR item(s) included in your basket does not qualify for this flat rate/free shipping, then the additional shipping charges will be applied to your entire order. If you add an item that does not qualify for "Free Shipping", them shipping rates will apply for the entire order. FLAT RATE SHIPPING EXCLUDES HI & AK, AND INTERNATIONAL ORDERS. USPS (United States Postal Service) shipment(s) follows the Postal Service's schedule/holiday schedule for delivery service. Click here to see holiday/closure dates for possible delays in shipments/processing your package. UPS (United Parcel Service) shipment(s) follows the UPS Service's schedule/holiday schedule for delivery service. Click here to see holiday/closure dates for possible delays in shipments/processing your package. INTERNATIONAL SHIPMENTS: All applicable VAT, PST, HST, and/or GSTS charges along with brokerage fees will be the responsibility of the customer and due at the time of delivery. If you have a problem and the item was not purchased directly from our website but rather thru an authorized dealer, please contact the dealer that sold you the product. If you purchased directly from our website, than you would email our service department. Customer pays for shipping both ways if we authorize parts to be replaced. We ship International via USPS Priority/DHL. To get an accurate quote please add the product to the shopping basket and enter your address as if you were checking out. The system will give you the shipping charges. Please use the information below as a guideline. Delivery within 1, 2, or 3 Business Days are based on where your package started and where it’s being sent. USPS does not guarantee this however it is their standard delivery time. 1. Average performance to major markets. You can also visit USPS HOLIDAY SHIPPING SCHEDULE for up-to-date information. UPS Package(s) pick-ups are Monday - Friday business days only. UPS 2nd Day Air: In-stock items are typically processed the same business day, however please allow at up to 2 Business Days for in-stock items to leave our warehouse. UPS 2nd Day refers to the actual transit time from when UPS pick-ups the package. For example: If you place an order Friday afternoon or evening for an in-stock item, your package will not be picked-up by UPS until Monday by 4pm. Therefore your order will arrive Wednesday by 4pm. FedEx International :Transit time is estimated at 10-12 Business Days depending on destination for International Order only (Outside of the United States). If you require assistance with a product you purchased, please contact us via email first. We may be able to assist you in resolving any questions or issues you may be having with the product or installation. We are here to help. If the issue cannot be resolved, then we will need to issue you an RMA number which is required in order to proceed with a return or exchange of any product. 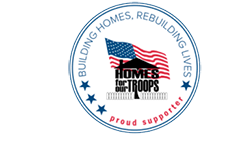 Please see our FAQs section for additional information. 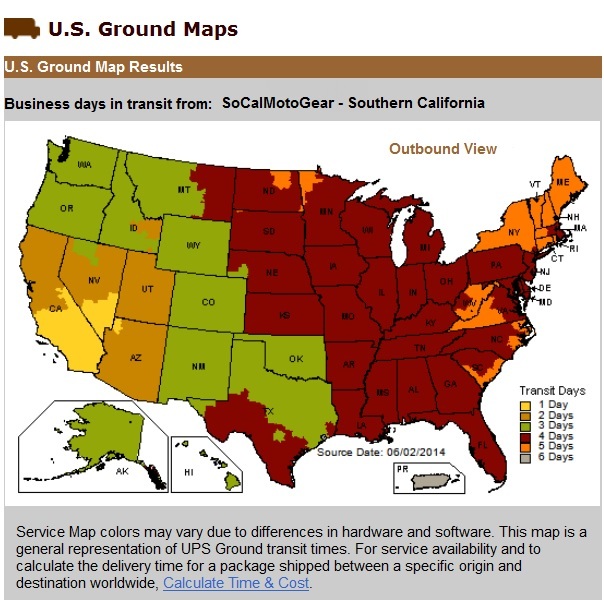 Please email: Service@SoCalMotoGear.com for the quickest response time. We do our best to reply to your email within 24 business hours and appreciate your patience. In the unlikely nature that you do not receive a reply to your initial email in a timely manner, please email us again so that we may assist you accordingly. Thank you!